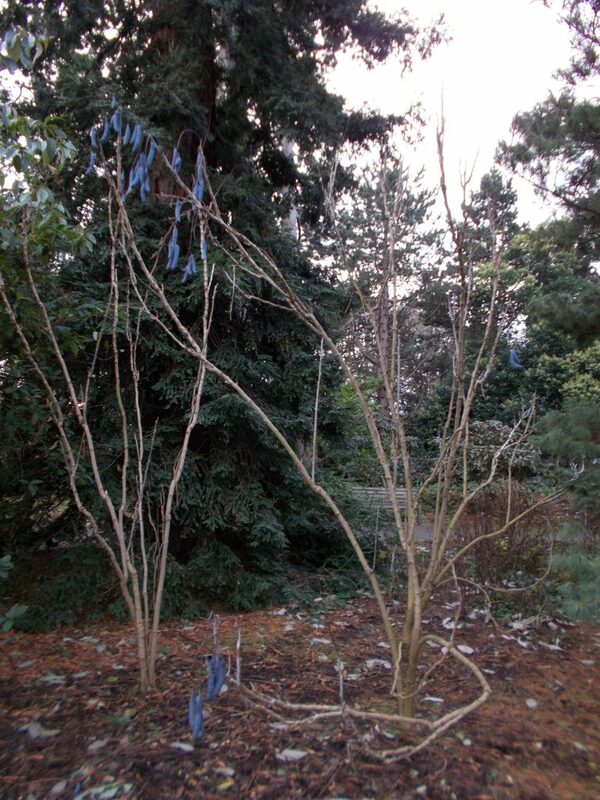 The deciduous stalks of Decaisnea insignis are prominent in the upper woodland garden. 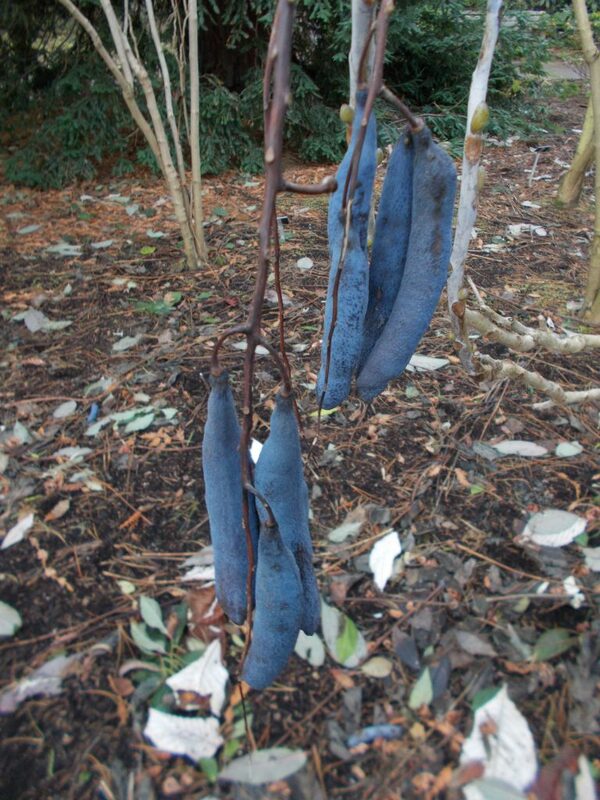 Hanging from these bare stalks are the fruit; blue sausage shaped receptacles that contain a series of flat black seeds protected by a gelatinous gloop. A member of the family Lardizabalacae, a native to China. 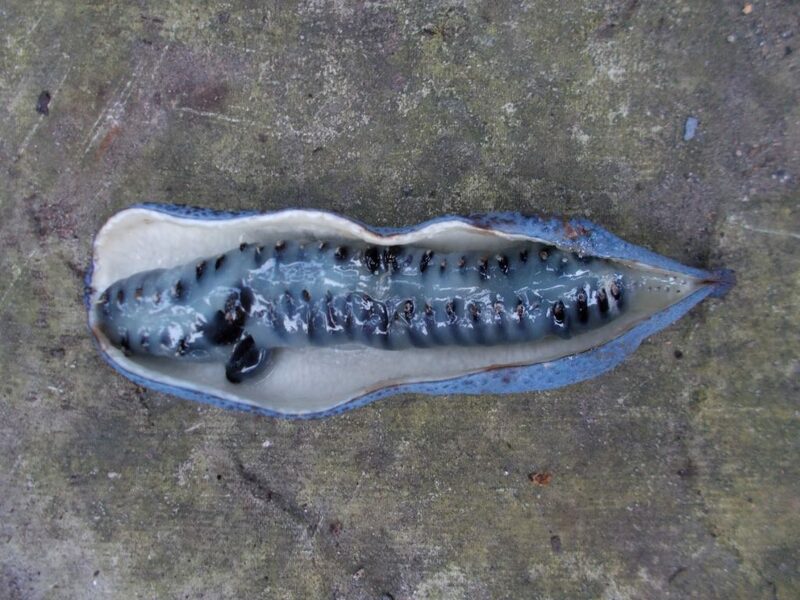 The parent of this seed raised plant was found growing in Yunnan Province within evergreen broadleaved forest at 2480 metres.